This Federal 40 S&W HST is loaded with one of the most revered self-defense bullets out there - 165 grain HST Jacketed hollow point projectiles. It’s a great middle ground between the faster rounds and the harder hitting ones. Penetration is solid and consistency in expansion is excellent. 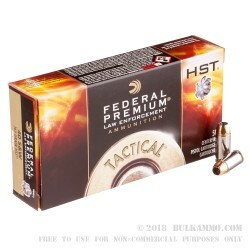 The uniformity of the HST projectile means it will be a proven winner when you need it most. Not only is this round consistent when expanding on impact in the target, but the consistency of manufacture and the consistency of the component parts is significantly better than most rounds you might be shooting at the range at this price point. Make no mistake, it isn’t “cheap” per se, but it offers an excellent value for those who know they want to practice with what they intend to carry. 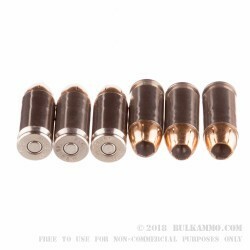 The price point being what it is from BulkAmmo.com, this is an obvious opportunity for many, and will give you a legitimate opportunity to get to know your firearm and be able to anticipate the parts you can anticipate in a personal defense scenario. 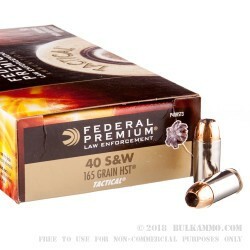 This is for a full bulk case of the Federal’s HST in 40 cal. 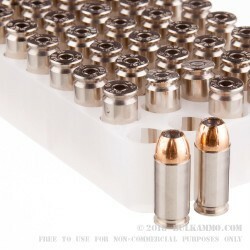 You’re going to get 20 boxes, with each containing 50 rounds ready to protect you and your family. Plus, since you’re buying in bulk you can sleep easy knowing you’re getting a cheap price!